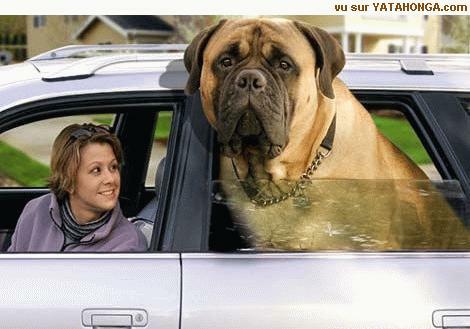 Pedro, You should get a dog like this! That's not a real dog, is it? Honestly, I'm not quite sure. We did meet one at the dog park the other day that was 225 pounds. They had a ramp to get it into the car and he was on a raw diet of chicken and vegetables. He ate three pounds of meat a day. I can only imagine what his "outputs" were like.